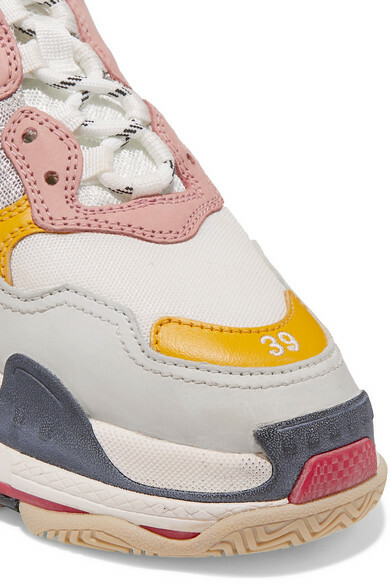 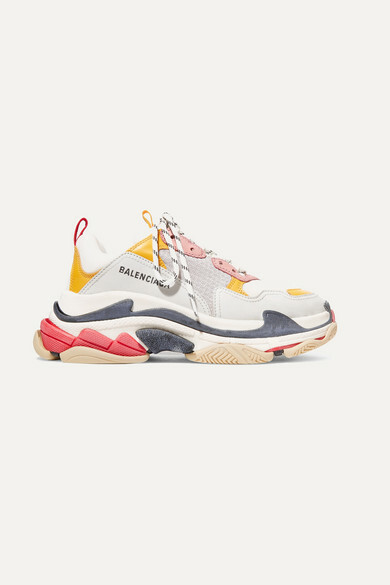 There have been so many iterations of Balenciaga's cult 'Triple S' sneakers since their first release a few seasons ago, and each has been an instant sell-out, proving the chunky "dad" silhouette isn't going anywhere anytime soon. 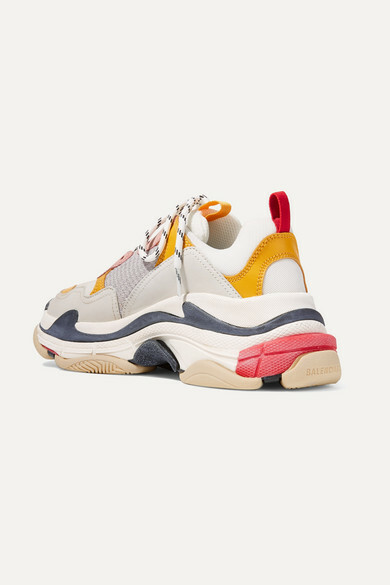 Made from a combination of leather and mesh, this pair is stacked with three different types of rubber and has a comfortable padded tongue and collar. 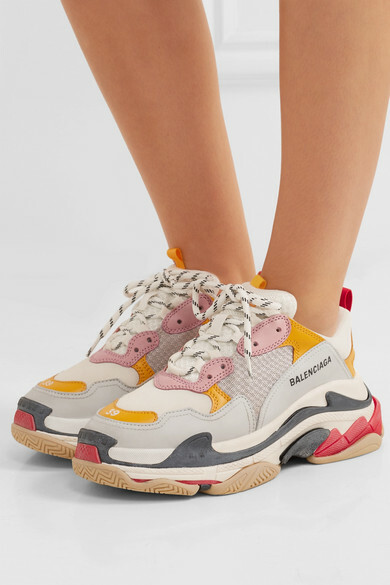 Wear them with denim and dresses alike. 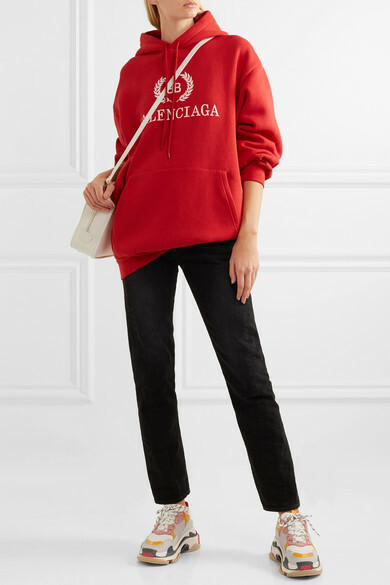 Shown here with: Balenciaga Jeans, Balenciaga Hoodie, Balenciaga Shoulder bag.